Sometimes small details are important for your training. 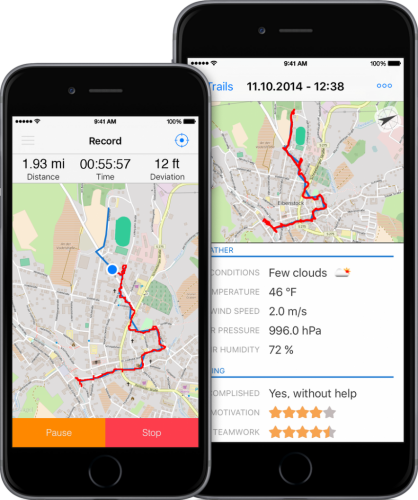 Therefore the app provides enough data fields to capture the names of the trail layer, the runner, the scent article, the surrounding, the ground and even all detailed weather conditions like rain, wind speed and direction etc. As a runner you can record the track and export and share it from the finish with the trailing team. Tracks can be shared and imported. Laying a long trail without the need for someone to go back all the way has never been easier. This video tutorial demonstrates all features of The Mantrailing App and how to use them on Android. Just watch and understand how The Mantrailing App improves your mantrailing training.